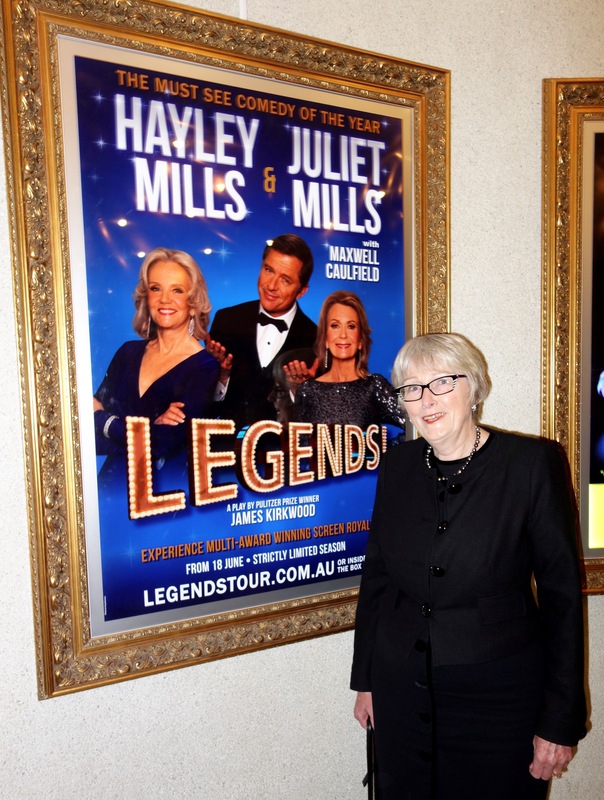 After beginning their Australian premiere season of “Legends!” with performances in Brisbane, it is now Sydney’s turn to be entertained by the legendary stars of stage and screen, sisters Hayley Mills and Juliet Mills. On Tuesday evening, theatre lovers came out in force for the opening night at Sydney’s Theatre Royal, to watch in awe as these two legends performed in “Legends!”. I was in the audience and must admit that it was quite an exciting experience watching the live performances of such renowned actors, whom I had only seen before on screen. Written by Pulitzer Prize winner James Kirkwood (A Chorus Line), “Legends!” is a hilarious and touching comedy, that has broken box office records around the world wherever it has played. Hayley Mills is returning to Australia after starring in John Frost’s Tony Award winning production of “The King and I” during the original Australian tour in 1991. Juliet Mills previously appeared across Australia in the play “Fallen Angels”. Daughters of legendary English actor Sir John Mills, Hayley appeared in several Walt Disney films, most famously the dual roles of twins Susan and Sharon in “The Parent Trap” (1961) and won the Academy Juvenile Award for “Pollyanna” (1960). Juliet gained enormous popularity in the television sitcom “Nanny and The Professor”, winning Emmy Awards for her performances in the mini-series “QB VII” (1974) and for her role in the drama series “Passions”. Maxwell Caulfield, who is married to Juliet Mills and has more than 70 film, theatre and television credits, including the role of Mark Wylde in TV’s popular “Emmerdale”, co-stars in “Legends!”. “Legends!” takes audiences to Manhattan, into a world of gossip, rivalry, reminiscence, longing and scandal, as two famous but fading movie stars try to upstage one another. Leatrice Monsee (Hayley Mills) and Sylvia Glenn (Juliet Mills) are hustled by a down at heel theatre producer (Maxwell Caulfield) to kick-start their once luminous careers by starring in a Broadway bound play. There’s just one problem – they loathe one another. The fiery feuds of Hollywood legends Bette Davis and Joan Crawford fade in comparison to those of Leatrice Monsee and Sylvia Glenn. The fun begins when Sylvia takes over a friend’s apartment after bribing the owner’s maid, Aretha, played by Leah Howard, so she can meet with the theatre producer to discuss starring in his new Broadway play. After the arrival of Leatrice, mayhem takes over, including the arrival of a jaw dropping strippergram, performed by David Denis as Boom-Boom Johnson, who managed to steal every scene he appeared in. The fun really begins when the two old rivals, Leatrice and Sylvia, eat some of Aretha’s special “cookies”. Both Hayley and Juliet Mills give masterful performances with impeccable timing. Maxwell Caulfield is totally believable as the hustling theatre producer, while the scene where he is talking on three telephones at the one time was a highlight of the evening. For a night of true carefree entertainment, “Legends!” is well worth a visit. 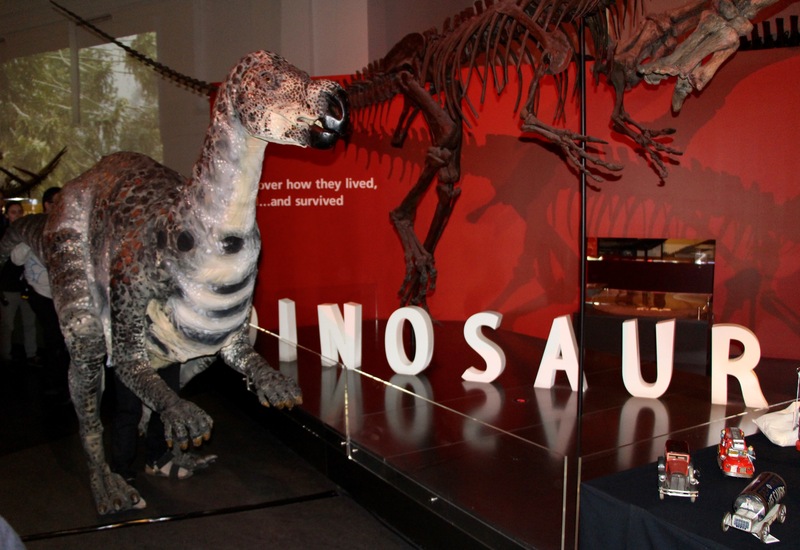 Families will be pleased to learn that kids and adults are free at the Australian Museum and Powerhouse Museum on the weekend of Saturday 27 and Sunday 28 June to celebrate the NSW Government’s commitment to ongoing free general admission for children under 16. Deputy Premier and Ministrer for the Arts, the Hon. Troy Grant said “Kids Free is an exciting initiative of the NSW Government to create more opportunities for children and families to experience arts and culture”. What a great way to start the school holidays. The kids will love the dinosaurs. Let’s hope that this great initiative will repeat itself on other dates throughout the year. The small theatre scene is alive in Sydney with the Australian Premiere of Gail Louw’s “Blonde Poison” soon to take place at the Old Fitzroy Theatre in Cathedral Street, Woolloomooloo. 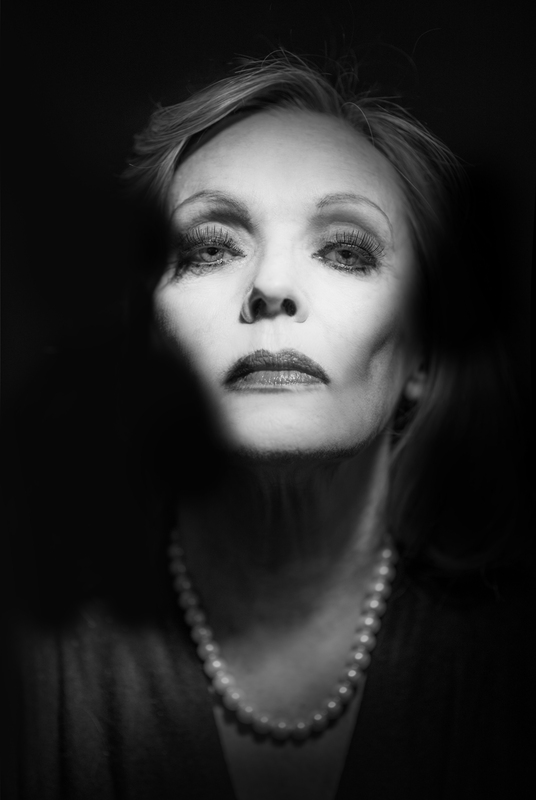 Produced by Adam Liberman and starring Belinda Giblin, this remarkable one woman play is directed by Jennifer Hagan. “Blond Poison” is a true story based on Stella Goldschlag, a Jewish woman who was living illegally in war torn Berlin, where she was betrayed and tortured. When offered the chance of saving herself and her parents from deportation to Auschwitz, Stella agreed to be a Greifer or catcher for the Gestapo, to find and betray Jews in hiding. Stella was extraordinarily successful in leading to the finding and capturing of 3000 Jews by the Nazis. Given the choice, would you save your family and yourself from persecution or condemn others to certain death? A question of morality that challenges the audience to think, ‘what would you do’? “Blonde Poison” is set during events when everything that humankind values was threatened and near collapse. It explores the theme of morality, that challenges right and wrong. The vast dimensions of Stella’s character range from tortured victim to cruel killer, from loving daughter to betrayer of friends, from gentle lover to depraved promiscuity. The Gestapo, who reveled in her treachery, gave Stella the name “Blonde Poison”. Decades after the war Stella agrees to be interviewed by a well-respected journalist, hoping to obtain her last chance for redemption, but can she ever be released from her past? Gail Louw is an internationally acclaimed playwright/writer, whose Jewish background and maternal influence has informed much of her writing, including this production. “Blonde Poison” has found great success internationally, winning an Argus Award for Artistic Excellence at the Brighton Festival and Fringe in 2012 and received excellent reviews both in the UK and in Los Angeles, where it was staged in January 2015. The producer of “Freud’s Last Session” and co-producer of “Howie the Rookie” brings yet another thought provoking drama to Sydney and The Old Fitz. “We are thrilled to present the Australian premiere of Gail Louw’s compelling drama, a ninety minute one woman play, as part of the Old Fitz Theatre season. Under the insightful direction of Jennifer Hagan, “Blonde Poison” stars Belinda Giblin in what promises to be a career defining role for one of Australia’s most talented actresses,” said Producer Adam Liberman. Opening on Sunday 28 July, with performances on Tuesday through to Saturday at 7.30pm and Sunday at 5pm, the season will run to 15 August 2015. The Old Fitz Theatre which opened in 1997, has successfully survived and thrived for nearly 20 years and is one of Australia’s most intimate and magical theatre spaces. Want to run away and join the circus? The National Institute of Circus Arts (NICA) has put out the call for people around Australia with a dream of a professional career in performing and some background in physical training such as circus, sport, dance, physical theatre, gymnastics, acrobatics, martial arts, diving or trampoline. 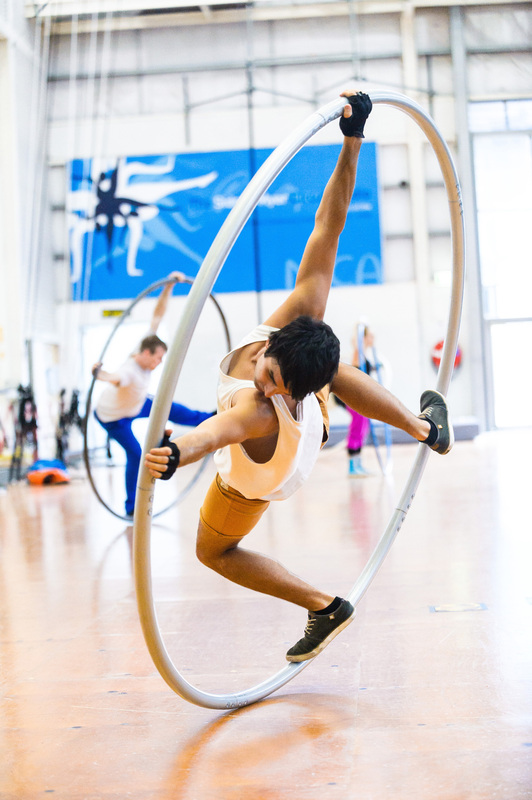 NICA offers Australia’s only Bachelor of Circus Arts, a three year university degree conducted at its Melbourne campus. Entry into the Bachelor of Circus Arts is highly competitive and attracts applicants from across Australia and overseas. The course is accredited by Swinburne University and training takes place in the custom built circus facilities on its Prahran campus. NICA will be holding pre-audition circus workshops across all Australian states during the June/July school holidays, prior to auditions for the 2016 course intake. Aspiring circus artists can register to brush up their skills before the auditions begin in September. Those with a flair for the physical and a desire for a challenge should consider attending the workshops. A background in circus is not necessary. This year, pre-audition workshops will be held in more locations around Australia than ever before, including a number of cities not previously visited such as Byron Bay. Other workshop locations include Melbourne, Darwin, Albury, Brisbane, Fremantle, Sydney, Ulverstone, Cairns, Adelaide and Canberra. The workshops will focus on the audition requirements for NICA’s accredited courses, including flexibility, handstands, tumbling, strength & conditioning, movement and performance. Past graduates from NICA, who are now professional circus performers and trainers in their own right, will facilitate all workshops and will be able to answer any questions participants may have about the degree and life as a circus performer. In Melbourne, the workshop will be held at NICA’s own state of the art facilities in Prahran over two days. On the second day of the workshop, participants will have the opportunity to experience a typical day of training at NICA, including engaging in aerial apparatus, manipulation and group acrobalance, however, the workshops held outside Melbourne will run for one day only. 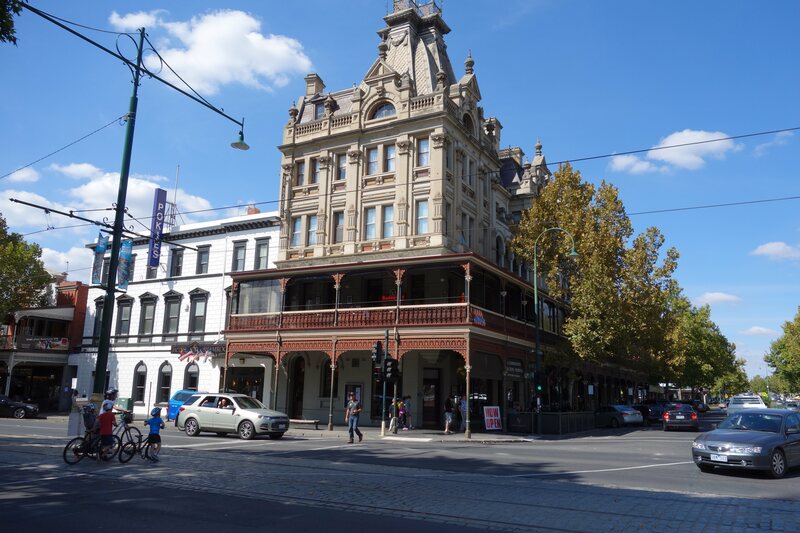 Driving from Melbourne airport into the city over the years, I always noticed the highway sign pointing to Bendigo and thought one day it would be wonderful to visit this historic town that I had read so much about. On a recent visit to Melbourne, we were staying at “The Larwill Studio”, located in Parkville and part of the Art Series Hotel Group. The timing was right to take a short break of two days to experience the cultural delights on offer in Bendigo. One of the many benefits this hotel offers guests is their range of “green” compact Smart Cars, available for hire at a very reasonable rate. After selecting our vehicle from those parked at the front of the hotel, we were made aware of all the controls by the hotel’s concierge. We confidently began our two hour drive up the Calder Highway to Bendigo, 152 km away. As we had enjoyed “The Larwill Studio” so much, we decided to stay at another Art Series Hotel, “The Schaller Studio”, for our two nights in Bendigo. 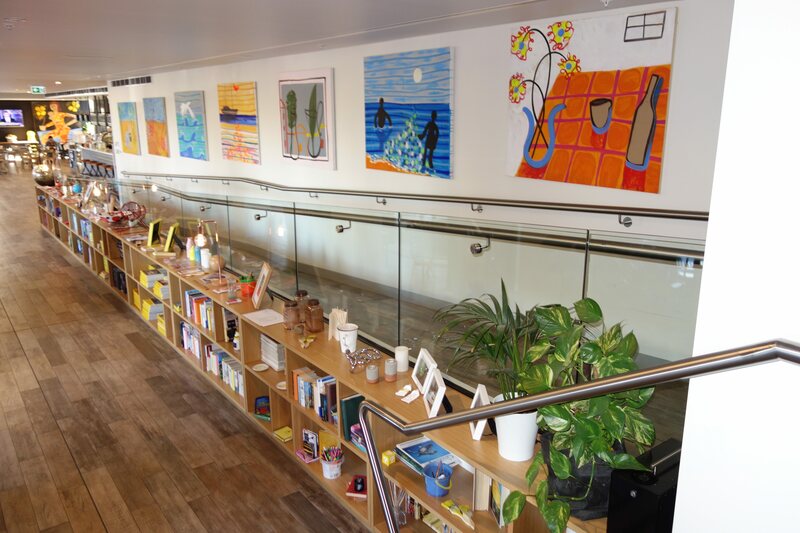 When we arrived at “The Schaller Studio”, a modern three storey building, located next to Bendigo’s main hospital, we were delighted to see the parking area even displayed some of the hotel’s signature artworks, enormous blue flower pots containing large paint brushes. 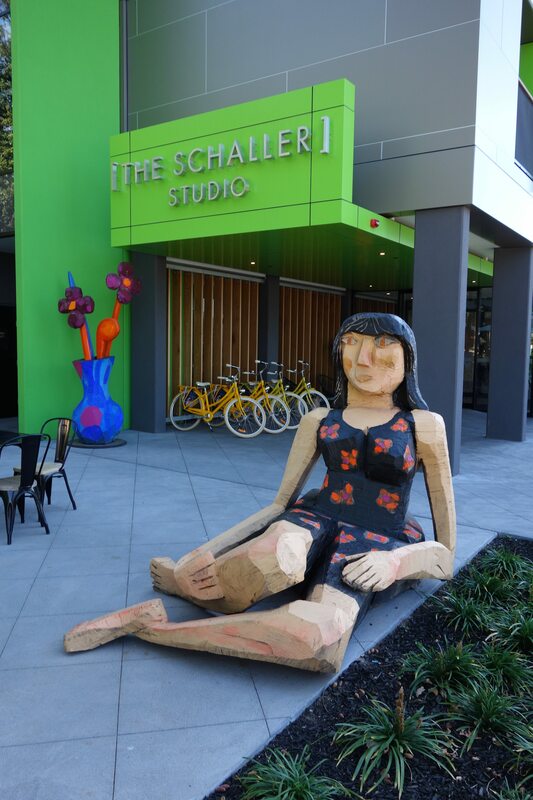 The hotel’s front entry was the setting for another of Australian artist Mark Schaller’s works, an oversize wooden sculpture of a girl. After being checked in by a very delightful front office person, we proceeded to our room, which had everything one would expect to find in a 4 star hotel, but was quite different from the normal hotel style. Original Mark Schaller artworks, which were available for purchase, adorned the walls plus there was even a small balcony. A substantial continental breakfast buffet in the hotel foyer was included and during the day, snacks, coffee and cakes were available for purchase. The staff went out of their way to please, with that true “Aussie country” hospitality. In the hotel’s foyer, there were several comfortable lounge areas where one could sit, have a coffee and just enjoy the multitude of Mark Schaller’s artworks and sculptures. 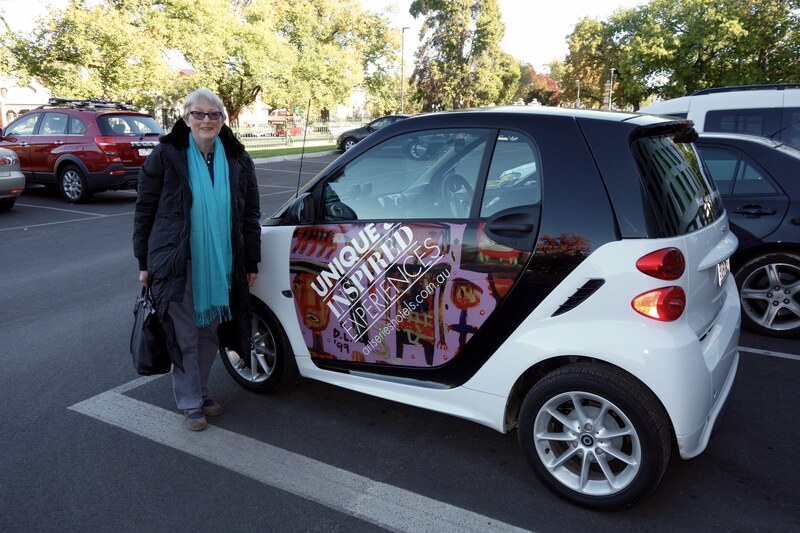 There is so much to see in historic Bendigo. Walking around this beautiful town, with its wide streets, admiring the many magnificent buildings, which thankfully have been preserved, one can clearly see where much of the money from the famous gold rush era went. The town’s gardens with their floral display and glasshouse, located in the centre of town, are a pleasure to walk through. The Bendigo Art Gallery is a great place to pass an afternoon, admiring their large collection of paintings housed in their state of the art building or to view the special exhibitions that are regularly presented. This vibrant town offers a range of restaurants and bars that would please the most discerning. Bendigo is well worth a visit. Park Hyatt Sydney, situated at Campbells Cove in Sydney’s historic Rocks area, will celebrate their 25th Anniversary in July this year. 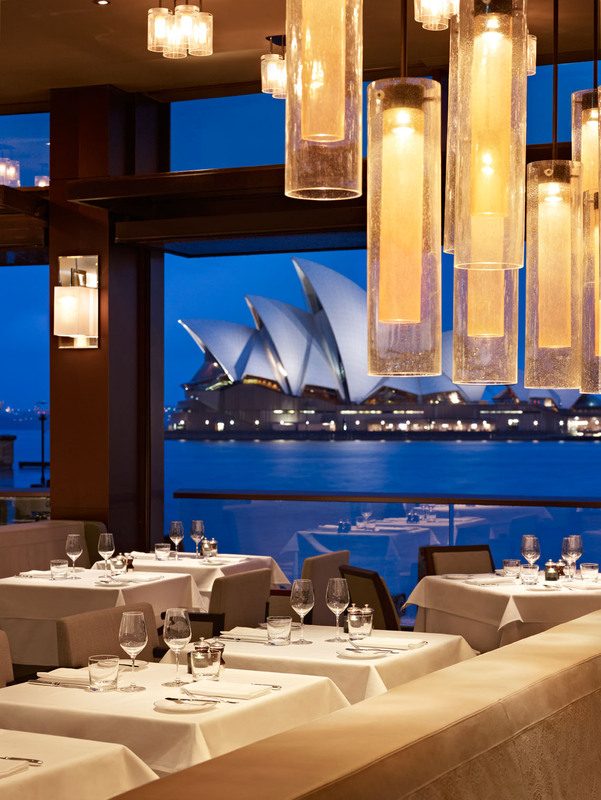 Providing guests with a spectacular location overlooking the Sydney Opera House and Harbour Bridge, Park Hyatt Sydney, one of Australia’s most luxurious hotels, introduced the concept of luxurious harbourside hotel living to many celebrated and discerning guests. Since opening their doors in July 1990, they have continued to provide personal journeys of discovery, through the rare and intimate experiences guests enjoy with every stay. To mark this special Silver Anniversary, the hotel has selected a range of exclusive offers and specially created experiences, to tempt new and returning guests during their 25th birthday month of July 2015. 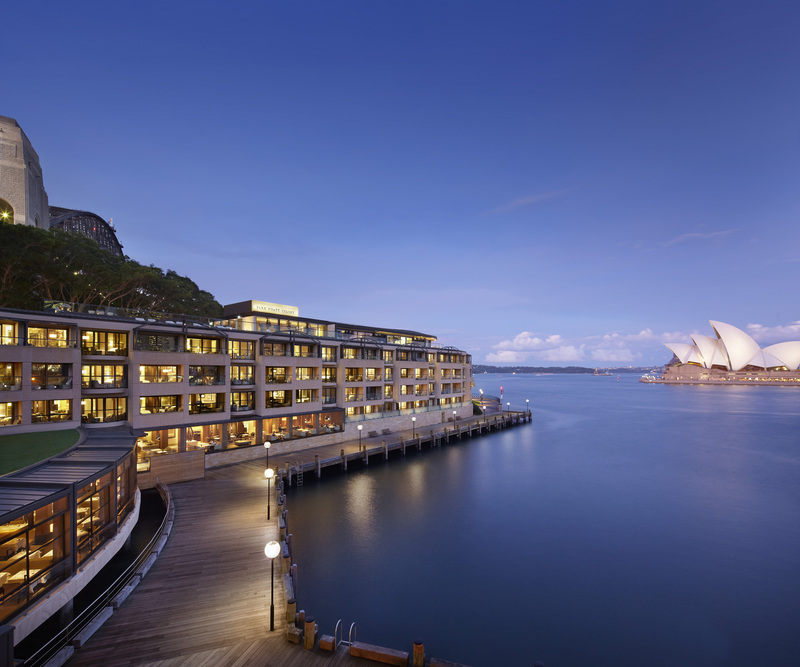 One that will particularly appeal to travellers, 25% discount off the hotel’s daily rate for stays in July this year is exclusive to Park Hyatt Sydney and available when booked in the 25 days leading up to 1 July 2015. When guests book the “Park Life” package, to celebrate the Silver Anniversary in luxury and style, they can enjoy breakfast for two, valet parking and an anniversary gift during their overnight stay. Alternatively, the “Most Indulgent Suite Stay” promises to live up to its name with highlights that include return first class flights, handcrafted jewels by Australian fine jewellery designer Stefano Canturi, luxury timepieces from Swiss watchmaker Jaeger-LeCoultre, private harbour experiences and VIP service at every touch point. Both packages are available for stays from June to August 2015. The Spa is also celebrating the Silver Anniversary by offering a 25% discount during July on all spa treatments, for bookings between Monday and Thursday, but excluding retail items. You don’t have to be a hotel guest to enjoy the relaxing atmosphere of Park Hyatt Sydney’s famous spa. The dining experience is a highlight of July’s celebrations, with The Dining Room offering guests born in the month of July a 25% discount on their table’s bill for lunch. At dinner, guests spending $100 or more will receive a $25 discount off their bill. The Living Room will be serving a cheese plate with a glass of wine for $25 and The Bar has a special birthday themed cocktail of the month for $25 that comes with half a dozen oysters. 8 Hands in The Dining Room, to be held on 15 July 2015, is a special culinary experience featuring Park Hyatt Sydney’s past and present chefs, uniting for one night to take food connoisseurs on an epicurean journey, all in support of charity. Franck Detrait of Park Hyatt Sydney, Fabien Berteau of Palace Park Hyatt Paris-Vendôme, Alessandro Pavoni of two-hatted Ormeggio at The Spit and Ross Lusted of two-hatted The Bridge Room will donate their time, talent and food to create delicious samplings and an indulgent four course menu. To complement the evening’s fine food, Park Hyatt Sydney sommelier Filippo L’episcopo will hand pick premium wines to match each course. I’ve made a diary note to visit the hotel in July to partake in these special Silver Anniversary offers. Happy 25th Anniversary, Park Hyatt Sydney. You are currently browsing the SANDRATBLOG.COM blog archives for June, 2015.